Family My husband and I have been married for 22 years, and we have adult twin daughters. I am the best person for the job because I bring a different perspective. District 17 hasn’t been represented in the Arizona House by a woman, an elementary school teacher, nor a Democrat before, and voters are ready for a change. People want legislators who will listen to their perspective; I am a patient person who exhibits excellent listening skills. I am a problem solver, and I can work with those I don’t necessarily agree with. I will be the voice of teachers and students at the capitol. I support idea that Arizona's teachers should be paid more. Arizona teachers are some of the lowest paid in the nation, and many have been weathering the school funding cuts by personally providing classroom materials. To be perfectly clear, the teachers walked out for more than increases to their salaries.The other items they asked for (restoring education funding to 2008 levels, competitive pay for all support staff, annual cost of living increases, and no new tax cuts until Arizona's funding reaches the national average) were not addressed in the governor's plan. The state must find a sustainable, dedicated revenue source to ensure that schools receive the money they need to provide a world-class education to all of Arizona’s students. The Arizona legislature has cut taxes in 27 of the last 28 years. Currently, Arizona gives away more tax cuts and tax credits than it keeps in the general fund. I support the #InvestInEd proposition that would dedicate nearly $700 million annually to education needs. Yes, I do support these measures. Voters I speak with are in support of these ideas. At doors, gun reform is the second-most discussed issue (just behind school funding). No, I would not support additional tax cuts. No, however I am in favor of decriminalizing marijuana which would help to reduce our huge prison population. No. Women’s healthcare decisions should be between the woman and her healthcare provider. The legislature should not have a say in personal, private healthcare decisions. Climate change is real, and long-term drought is certainly cause for concern. It is critical that Arizona consciously conserves both ground and surface water. The Groundwater Management Act was established in 1980, and needs to be updated to address groundwater management in all areas of the state. Additionally, the use and conservation of surface water needs to be analyzed. Certainly stakeholders with a deep knowledge of water policy in Arizona should be consulted. I would support a law to ban discrimination. I don’t believe discrimination is acceptable for any reason. No, I would not support a law that allows individuals to deny services based on religious beliefs. As with the previous question, I do not believe discrimination or denial of services is acceptable behavior. I strongly believe that education will impact sustainable growth of the economy that will ultimately benefit all income levels. When we have a strong, well-funded education system, businesses will relocate and remain in Arizona. Businesses will provide jobs. The school communities, including JTED (Joint Technical Education District) and CTE (Career Technical Education), will provide a well-educated workforce that will benefit the companies of our state. No, I do not support expanding the ESA/vouchers for private-school education. Public money should not be spent to subsidize private and parochial tuition. I do support continuing ESAs for children with special needs IF their needs cannot be met in the neighborhood, district schools. I will vote no on Proposition 305. As described above, I do not support the expansion of the voucher program. Arizona should play a limited role because this is a federal issue. 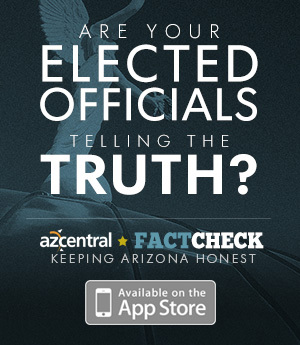 Arizona should encourage fact-based decisions. For example, the majority of illegal drugs come into the country through official ports of entry. Building a wall does not address this issue, but hiring more border officials to fill the current shortage can help. Based upon numerous news reports, it is apparent that prior to the 2018 legislative session, the Legislature had not done enough to address concerns about sexual harassment. Time will tell if the new policies are strict enough to deal with inappropriate behavior among the membership of the legislature. I do not understand why $56 million in federal childcare subsidies were essentially “left on the table” at the end of the legislative session. This subsidy helps working families ensure that their children are safely cared for while they are at work or school. Without support from programs like these, some families must make the decision between leaving very young children unattended while at work or staying home with the children and forgoing their work. The legislature can wait until the next legislative session to authorize the use of this money, but families could use the help now. The greatest threat to Arizona’s future is the fact that our public schools have been underfunded for many, many years. Truly, the children are the future, and I believe that our failure to properly fund their education may have long-term negative effects on our state. Today’s students will be the workforce of tomorrow. I hope they will be well-educated and properly trained for the jobs of the future. I hope to work with a diverse group of legislators to find a sustainable funding source that is dedicated to properly funding our schools. It is important that schools have certified teachers that are paid appropriately for their years of experience and level of education; class sizes that are small enough to allow teachers to address the diverse needs of the children; modern curriculum and technology that will prepare students for jobs that don’t yet exist; and well-maintained buildings and buses, so students, faculty, and staff are safe. Yes, the state should accept the $56 million. This funding could help subsidize child-care expenses for the working poor which would allow the parents to go to work or school without worrying about who will watch their children. The state has the same responsibility to relatives who are fostering as it does to traditional foster parents. Family members should have to take the classes/training and have their homes inspected just as other foster parents do. Once these requirements have been met, then family members should receive the same amount as other foster parents.